Pride and Prejudice was only half the story. WHY WE’RE EXCITED: A retelling of Pride and Prejudice told from the POV of one of the Bennet’s maids sounds like our kind of novel. Here’s hoping it ends in a wedding! A piercing epistolary novel, The Antagonist explores, with wit and compassion, how the impressions of others shape, pervert, and flummox both our perceptions of ourselves and our very nature. Gordon Rankin Jr., aka “Rank,” thinks of himself as “King Midas in reverse”—and indeed misfortune seems to follow him at every turn. Against his will and his nature, he has long been considered—given his enormous size and strength—a goon and enforcer by his classmates, by his hockey coaches, and, not least, by his “tiny, angry” father. He gamely lives up to their expectations, until a vicious twist of fate forces him to flee underground. 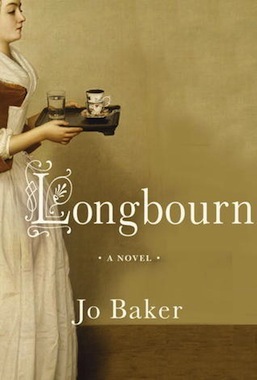 Now pushing forty, he discovers that an old, trusted friend from his college days has published a novel that borrows freely from the traumatic events of Rank’s own life. Outraged by this betrayal and feeling cruelly misrepresented, he bashes out his own version of his story in a barrage of e-mails to the novelist that range from funny to furious to heartbreaking. 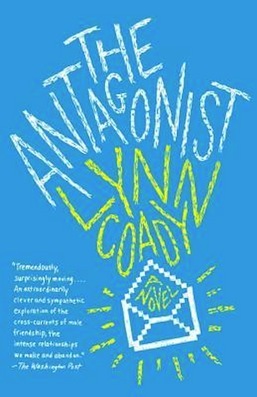 With The Antagonist, Lynn Coady demonstrates all of the gifts that have made her one of Canada’s most respected young writers. Here she gives us an astonishing story of sons and fathers and mothers, of the rewards and betrayals of male friendship, and a large-spirited, hilarious, and exhilarating portrait of a man tearing his life apart in order to put himself back together. WHY WE’RE EXCITED: We like the premise of this novel within a novel, especially because it deals with just what it feels like to have your life co-opted for fun and profit. Even more so because that life is the life of the villain. Widely praised and beloved by children, adults, and critics alike, Adam Gidwitz delivers a third serving of eerie new landscapes and fear-inducing creatures in a story sure to delight and frighten fans old and new. In the final book in the series, Adam’s brilliantly irreverent narrator leads readers through a fresh world of Grimm-inspired fairy tales, based on such classics as The Juniper Tree, the real story of Cinderella, and Rumpelstiltskin. 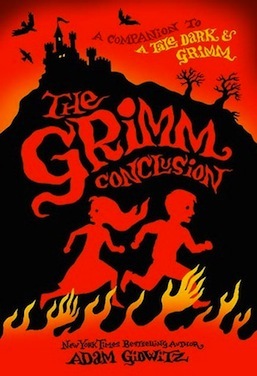 WHY WE’RE EXCITED: Gidwitz has rewritten the darker Grimm tales with wit and humor for children with his Hansel and Gretel and Jack and Jill inspired books A Tale Dark & Grimm and In a Glass Grimmly and we cannot wait to see where his last book in the series takes his brother/sister team of choice. Madison Spencer, the liveliest, snarkiest dead girl in the universe, continues the adventures in the afterlife begun in Damned. Having somewhat reluctantly escaped from Hell, she now wanders the Purgatory that is Earth as a ghostly spirit, seeking her do-gooding celebrity parents, fighting the malign control of Satan, recounting the disgracefully funny (to us, anyway) encounter with her grandfather in a fetid highway rest stop in upstate New York when she…oh, never mind, and climaxing in a rendezvous with destiny on the new, totally plastic continent in the Pacific called, not at all accidentally, Madlantis. 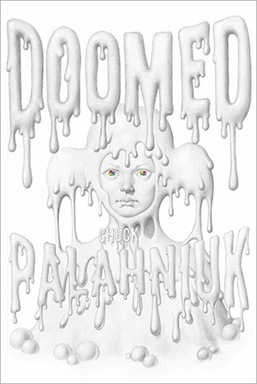 WHY WE’RE EXCITED: Damned had us welcoming back Chuck Palahniuk into our embrace and we hope the continuation of his first ever series inspired by Dante’s Paradiso has us gripping him just as tightly. 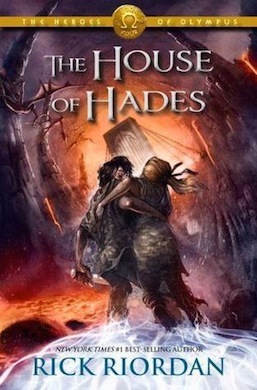 WHY WE’RE EXCITED: The world needs something to wash the taste of the Percy Jackson movie out of their mouth and what better way than with a new Rick Riordan book.